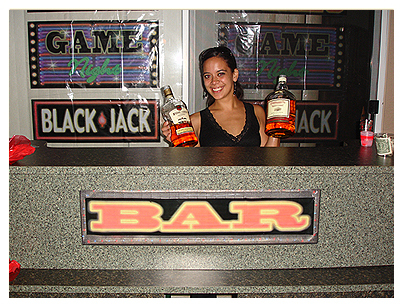 At Miami Casino Parties Entertainment Company we don't just provide the highest quality Casino Themed Party services available, but we can also provide you with complete beverage catering services including professional, friendly and highly trained bartenders, servers and other wait staff, cocktail planning, and much more! Please call us for full details and to receive a package price quote including our beverage catering services. NOBODY has what we have in the East Coast of Florida Area, GUARANTEED!